Foto stock: Subterrâneo · grunge · metro · corredor · nenhum · povo · bom / A nice grunge corridor with a blue door. It was a very dark and weird place. 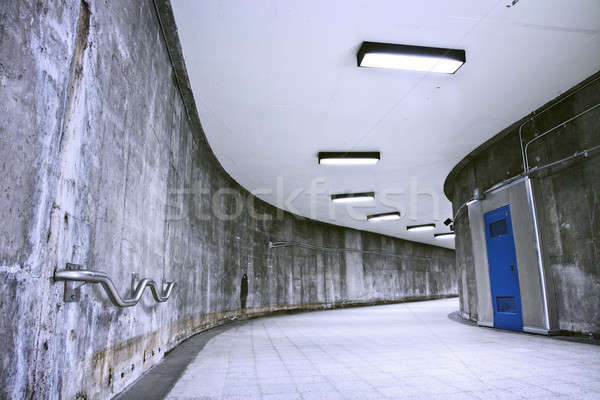 This passage is part of a Montreal metro station. This is how to transit from a metro to an other (to change line).